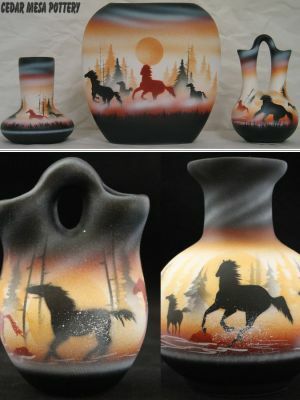 At Cedar Mesa Pottery, we specialize in unique, carefully hand crafted and Indian Hand Painted pottery that embodies our rich American heritage. 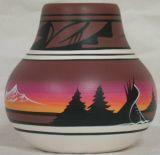 This pottery comes from the high plateau country of the Southwest at the foot of Blue Mountain. 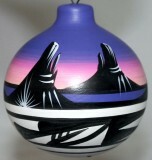 The Native American Indian artists, who sign each piece, combine their natural artistic talents with the inspiration of their culture and breathtaking beauty of their homeland. 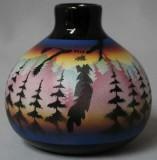 We give our artists a free hand and encourage them to use their inherent talent. 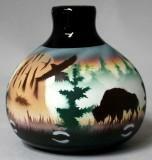 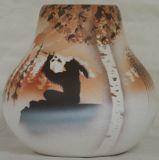 Each piece of Cedar Mesa pottery thus reflects the creative genius of the artist. 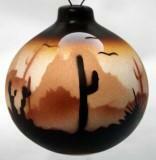 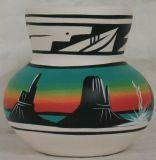 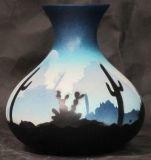 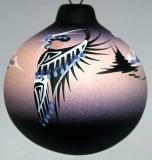 Cedar Mesa Pottery has a large selection and variety of American Indian pottery and southwestern pottery. 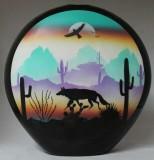 You have more choice with Cedar Mesa Pottery. 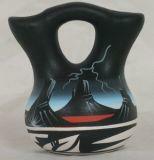 In 2001 we merged our product line with our two former competitors to bring all this great artwork into one location. 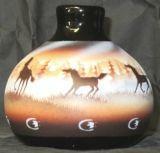 3 styles to choose from: Cedar Mesa Pottery, Hozoni Pottery and the Themes collection. 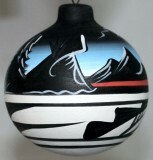 All lines include such traditional native designs as the Wedding Vase, Wind Bell, Bear Figure, the Turtle Legend and Kokopelli the humpbacked flute player.